One of the most important ways we have of connecting with the BattleTech universe is with art. A picture really does tell a thousand words when dealing with a universe as far off as the one we adore. A key artist in bringing the universe alive was Doug Chaffee. Over the years, he painted many pieces that adorned the covers of novels, books, as well as numerous pieces in the CCG line. Unfortunately, late April was the two year anniversary of Doug’s passing. It left us all poorer. There are some wonderful stories about how nice he was to fans at conventions. But, he left an important legacy for us. His style and composition contributed to the gritty universe. You can find some of Doug’s work at his studio. 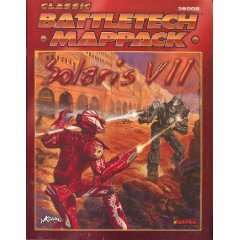 Doug created over 70 of pieces of BattleTech art, plus line drawings in several books. His family has been selling the original art of his work, and they still have some of his BattleTech paintings. The gives the community Doug enriched an opportunity to have some of his art. Let’s look at some of his paintings, and at the end, we’ll discuss where one can go to get pricing information and pick up some art. All of the art we’ll be looking at is listed for sale, along with prices, on a document passed along to us by Melba Chaffee. 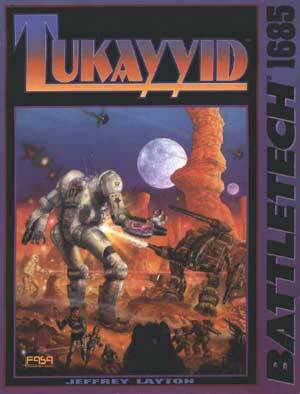 While many of his BattleTech pieces were picked up by others, most of these should still be available. Chaffee’s Tukkayid – Fun Scenario Pack + Great Art! Without all of the distractions, this is a wonderful piece, full of action at every scale. 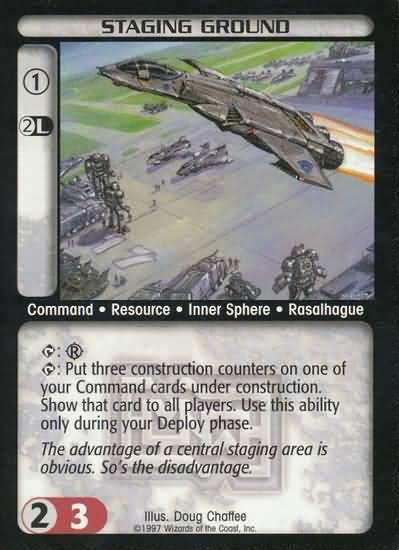 One of the largest military actions in the 31st century is depicted, as clan and ComStar face off. It appears that the art itself is a little lighter than the cover of the book, which darkened it. With the lighter art, the Behemoth is not as dull, and detail pops out. Here we see Yen-Lo-Wang in battle at the Solaris VII venue. The modified Centurion is dodging and blasting away. Without the distracting words over the top, the art pops as the scene moves to take center stage. Now let’s move to some lesser known art. Let’s begin with some art from the CCGs. Due to the nature of these pieces, they are smaller – they tend to be 5.5” by 6.5”. 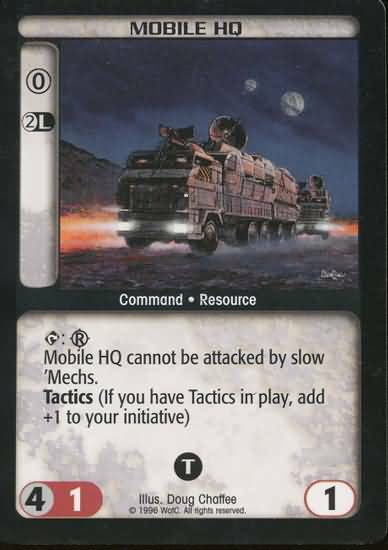 While he has many mech CCG art, such as the Axman, Grim Reaper, Pillager and Gladiator, let’s look at some of the other work he did, which is just as good. Frankly, the non-mech pictures tend to really flesh out the universe well, and also tend to be cheaper to purchase. The actual art has a bluer more alien looking sky, which the CCG appears to have darkened to make into a typical night. It’s a lovely feature of support equipment. He has some tanks, such as Mobile Long Tom or the Chaparral. Sometimes the mechs don’t win! These fighters are wreaking havoc on the battle formation below. The devastation unfurled by the fighters can really be felt looking at the card. And of course, all of these images are in addition to many other CCG cards Chaffee illustrated. You’ll find work of things like battle armor and VTOLs. Doug has graced us with a rich legacy of art that will continue to bless our community. 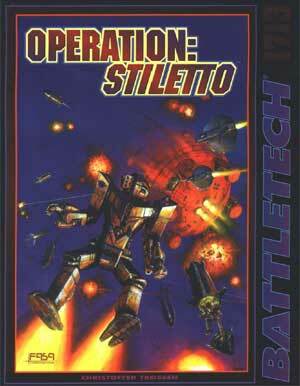 One last piece of art, that really gets the action and power of BattleTech is the cover to the Operation: Stiletto scenario pack. 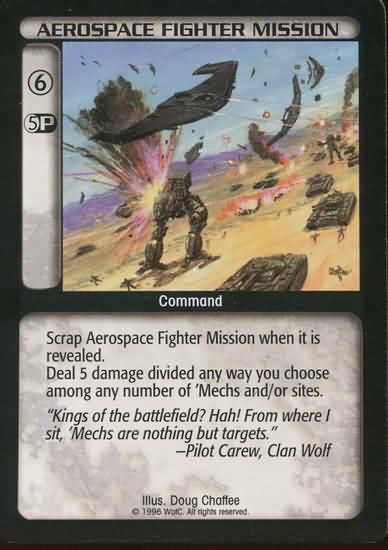 As the mechs are hot landing, with the dog fighting and DropShip in the sky behind them, it’s truly an amazing piece of art that demonstrates pace. Everything is a heartbeat away from destruction. That pdf has both a list of the art as well as sizes and price. If you are interested in getting more information about the art as well as making purchases, just e-mail at illplus@charter.net. 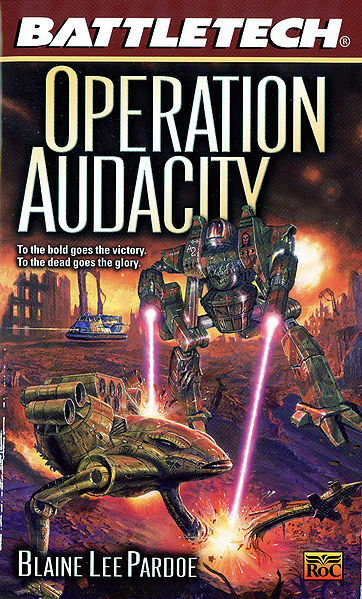 Let’s celebrate the impact of a great painter on BattleTech today, and raise a glass in his memory. P.S. – As an aside, I picked up the Axman art myself, and it looks beautiful on the wall. It came with a certificate of authenticity and a signed artist proof copy of the card. This entry was posted in Art and tagged Artists, Artwork, For Sale on 2013/05/20 by Abe Sargent.